Fulfillment by Amazon vs. Fulfillment by Merchant? 2) Ship orders out yourself, which is known as seller-fulfilled or Fulfillment by Merchant (FBM). A third option is to do some of both. Whatever your strategy, it should be reviewed from time to time to ensure it makes sense for your evolving business. Let’s look at a few pros and cons for FBA and FBM. Prime enrollment. This is one of the biggest benefits to FBA. As a third party seller using FBA, all your products are automatically enrolled in Amazon’s Prime program. It’s estimated that Amazon has 60 to 80 million Prime members who shop more frequently and spend more than non-Prime members. Buy-Box wins. There are many factors that go into winning the Buy Box and fulfillment method is a big one. An FBA seller can generally price a little higher than an FBM offer and still hold the Buy Box. Freed-up time. With FBA, Amazon takes on the task of filling your customer’s orders including customer service and returns. For some sellers, this is a big benefit. FBA allows you to focus your time and resources on growing your Amazon business, instead of spending it on the logistics of storing, packing and shipping your inventory to customers. Lower shipping rates. It’s likely that the fees Amazon charges to ship your products are lower than what you would get through your own shipping account. If that is the case, using FBA will lower costs and increase your profit margin. Complicated fees. Amazon charges different FBA fees, including fees for monthly storage, order fulfillment, pick-and-pack and weight handling. These fees vary depending on the size of your item and can be complicated to calculate on your own. Use the FBA revenue calculator or the Fee Preview report to determine what you are paying in fees for each of your products. Long-term storage fees. Amazon does not want to store your goods indefinitely. Twice a year in February and August they will charge long-term storage fees for inventory older than 6 and 12 months. You will need to be aware of your inventory age and have a plan to sell through or remove your older inventory to avoid these penalty fees. Limited access. 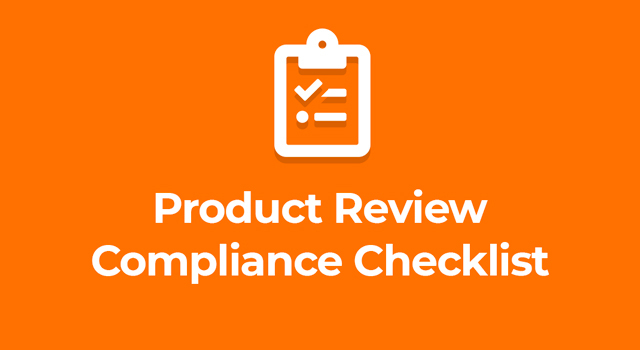 If there are quality problems with your inventory or the wrong product is being sent out to customers, sellers are obviously not able to walk into the warehouse and review their inventory. You will need to either have it removed and shipped back to you, or rely on Amazon’s employees to double check the product inside their fulfillment centers. More control. If you store and ship your inventory yourself, you will maintain hands-on access to your inventory whenever you need it. Lower costs. Because Amazon’s fees are based on the size of the item, if you have a large item with small margins you will want to compare the costs of using FBA vs. handling fulfillment yourself. This is especially true for items that have a slower turn rate. Faster turn rates. Going FBM for low-priced items under $6-$8 will keep them out of Amazon’s add-on program. This program is designed to save Amazon shipping and handling costs and requires that a customer purchase $25 worth of merchandise before Amazon will ship out an add-on item. This deters some customers, and you may find you can increase sales velocity by shipping these items yourself. New Prime program. Amazon recently rolled out a new program that allows you to enroll seller-fulfilled products in the Prime program. Sellers have to apply to the program and show that they can meet Amazon’s strict shipping standards. Required discipline. Amazon is fanatical about customer service and will penalize sellers for late and incorrect shipments. Without a strong, quality-controlled process, you will make mistakes. Those may lead to a lower seller-health rating, which affects how you show up in search and reduces your chances of winning the Buy Box. Too many errors and Amazon could suspend your seller account, even permanently. Lower selling price. To win the Buy Box and compete with other FBA sellers, you may need to keep your sales price low. This will affect margins and could start a pricing war. These are just a few of the considerations that should go into choosing a fulfillment strategy. Many Amazon sellers actually find that their strategy is neither 100 percent FBM or FBA, but a mix of both. You should be aware of the pros and cons for each option, specifically the costs associated with them, for each of your products. As your selling on Amazon business grows and evolves, continue to revisit your fulfillment options and make the best decision based on your business and your bottom line.